This is a new version of the stimulator originally designed by James Murray (jsmcortina on the forums) that expands on the original stim's features. The main improvement comes with the addition of a microcontroller which allows the simulation of up to 30 different toothed wheels in addition to the standard distributor signal of the old stim. At the moment, there are 28 programmed wheel patterns but the firmware is upgradable using a specific USB cable made by FTDI (see BOM: v1.5, v1.4, v1.3 or v1.0 and v1.1). The thread discussing the board can be found here. 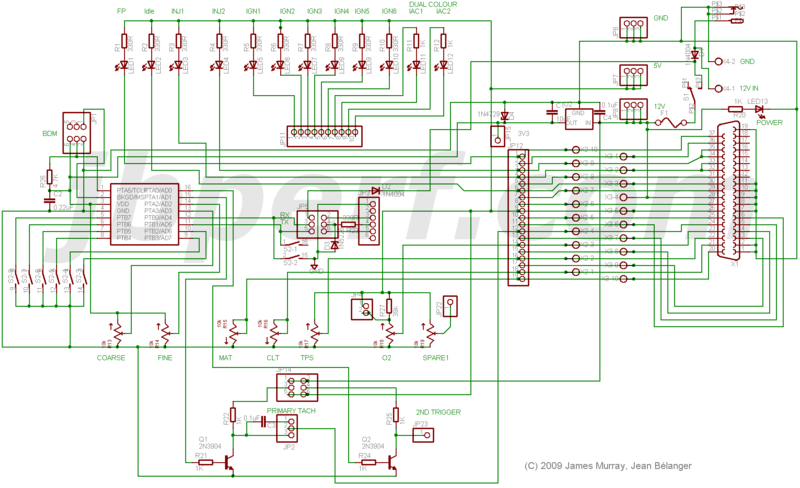 The schematic for the v1.5 board is available here. The JimStim v1.5 now comes with a new firmware version: the V2.0 firmware. The CPUs programmed with this new firmware version are identified by a sticker which indicates the version number (currently V2.0.3). This firmware works with all JimStim board versions. 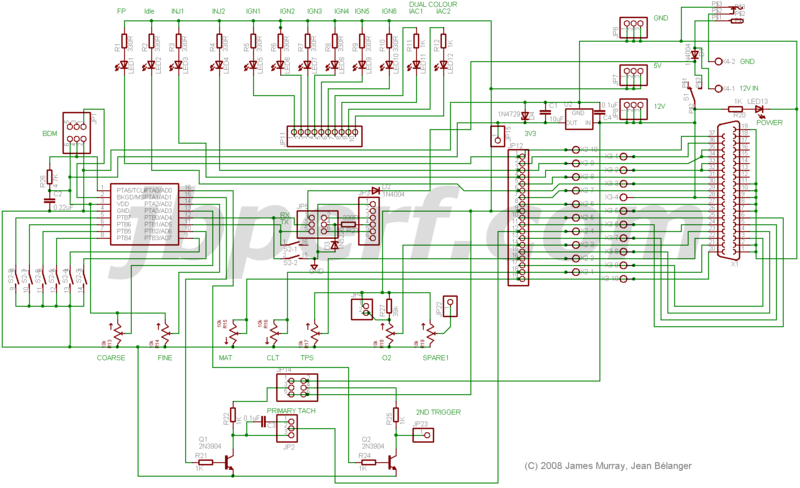 The schematic for the v1.4 board is available here. 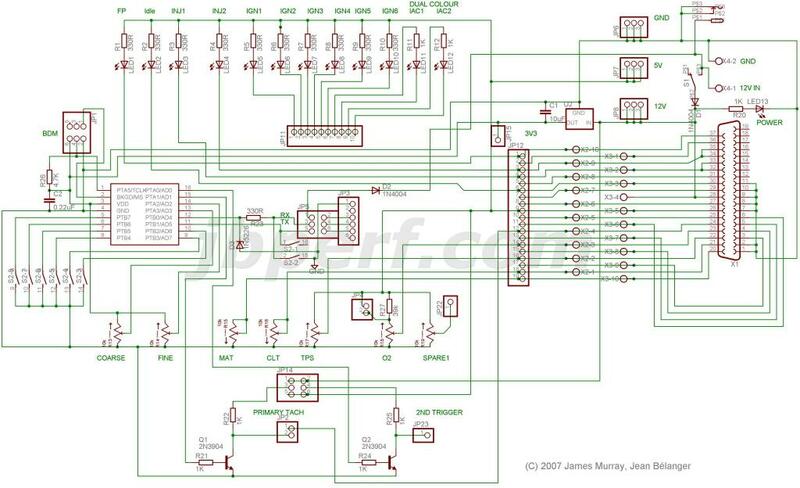 The schematic for the v1.3 board is available here. The JimStim is now available from DIYAutoTune as a complete kit and fully assembled.